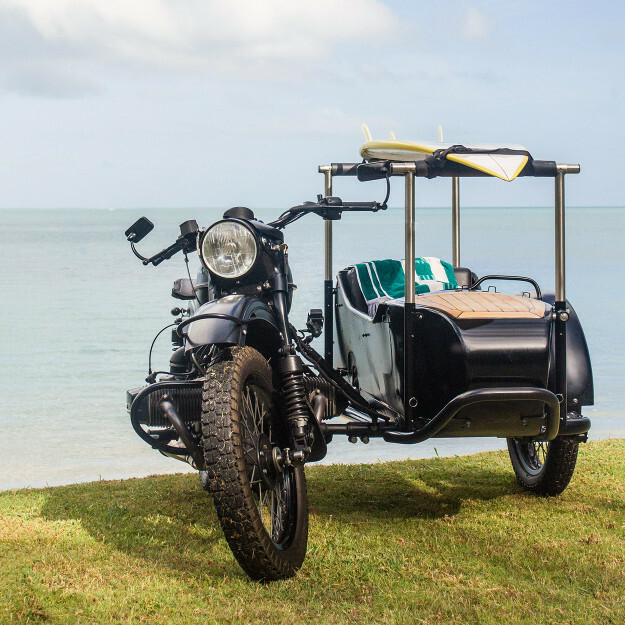 I’ve always had a soft spot for Ural sidecars. Yes, they’re relics from a bygone age, and their reliability is hotly debated in online forums. But they’re also practical and charming, like the old ‘Series’ Land Rover parked next to the Moto Guzzi in my garage. 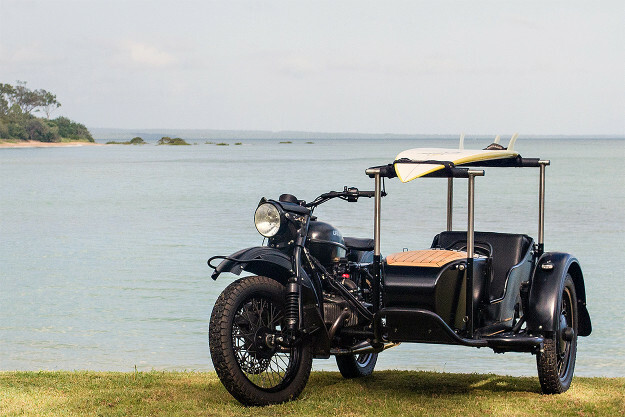 There’s little point in hot-rodding a Ural for speed, and the aesthetics are on-point from the start. 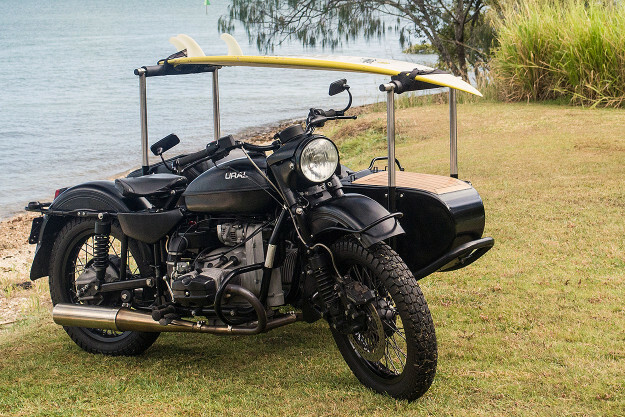 But Queensland man Peter Adams has built a sidecar rig we couldn’t resist showing. 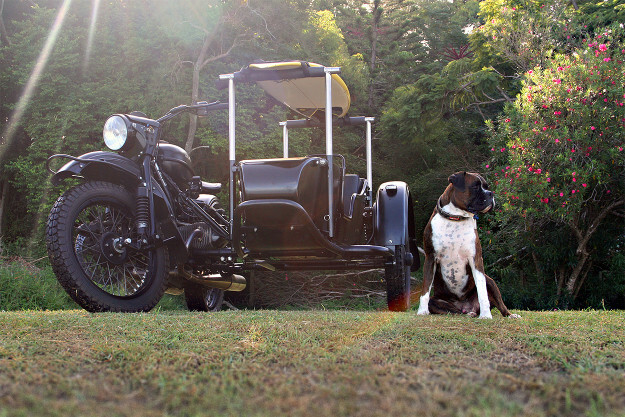 It’s designed to transport his Boxer dog ‘Argo’ and a surfboard. Peter started his career in boat building, and then moved on to the design and manufacture of light aircraft. So he knows his stuff when it comes to engineering. 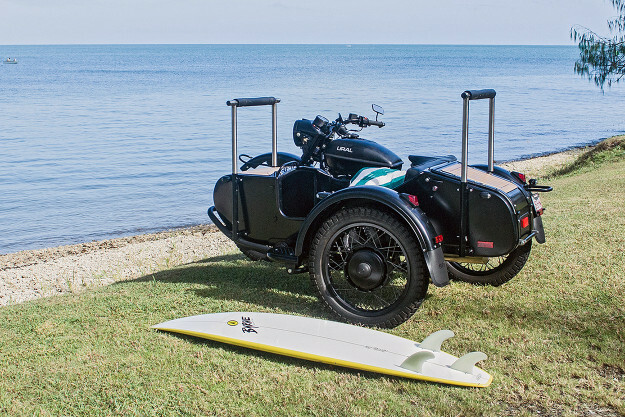 The most drastic mod on the Ural is an increase in the sidecar track of four inches. It provides more clearance for the surfboard—and also makes the rig more stable in corners. a left over from an airplane project. The racks themselves are removable, and made from stainless steel—all the better to resist corrosion in the sea air. 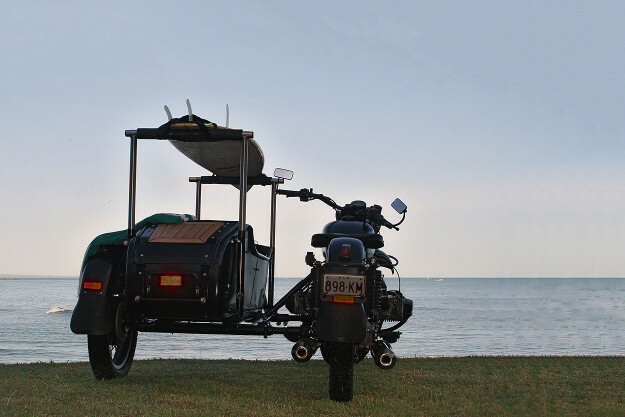 The planked beech wood ‘boat deck’ on the sidecar bodywork is also an aviation leftover; Peter has replaced the original heavy steel panels with molded epoxy composite panels. They’ve been rebated to take the beech strips, which are bonded in place and separated with a flexible urethane. On the mechanical side, Peter’s increased the sump capacity of the boxer engine. It keeps the air-cooled motor happier when chugging through soft sand in the hot Australian summer. Other mods are compact LED blinkers, bar end mirrors and a mount for a Garmin GPS on a discreet, dedicated arm between the bike and sidecar. It’s a low-key, classy build, as befits an engineer who has also tweaked the Triumph Thruxton and Dunstall Norton Commando in his garage. And it’s given us a serious case of lifestyle envy. 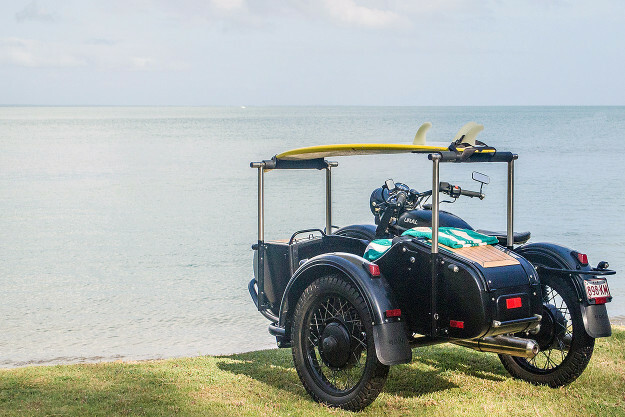 Anyone else fancy taking the dog and surfboard down to the beach?